This is a tiny and useful module that can reduce your hassle at a high rate, with enriched customization features that can be configured easily. It is mostly used in making the FAQ section, and related works on the web pages. Add New : A button to add new accordions. You can add accordions as many as you want with this button. Once you click this button, a couple of settings will be appeared to configure the accordion you just added. Title : The title text of the accordion. It will be displayed above of each accordion. 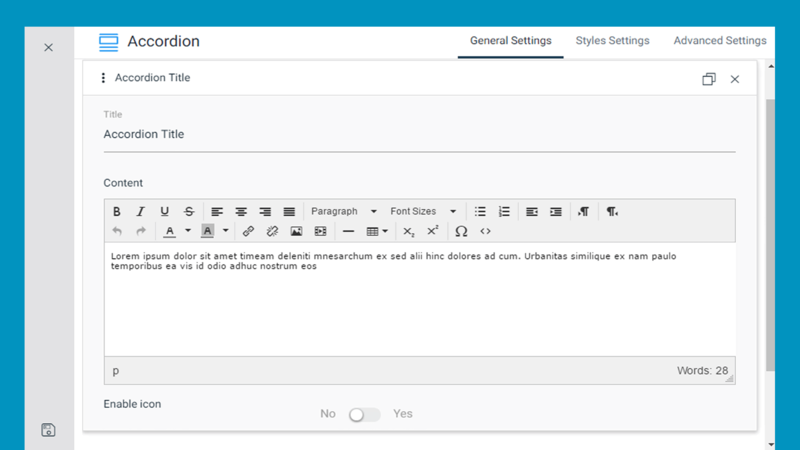 Content : The detail text that you want to show below the accordion title text when the user clicks on the accordion. Enable icon : Allows you to use an icon to show before the accordion title. You can choose your suitable one from a couple of existing icons. You just need to set Yes to Enable icon option to do so. 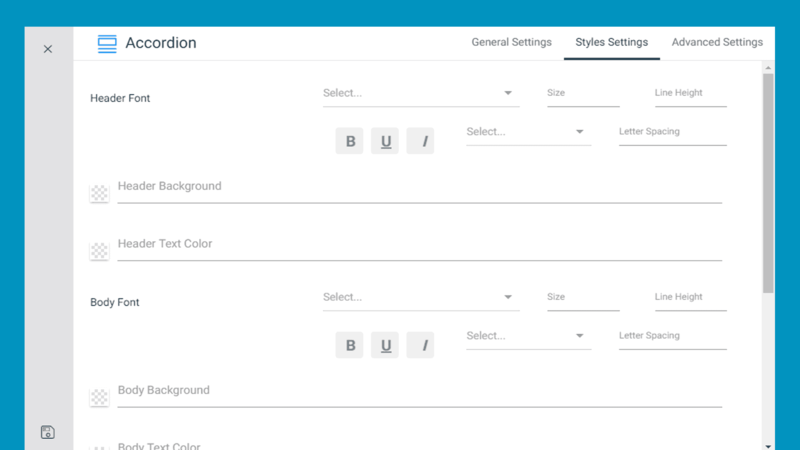 Type : This option allows you to choose either Accordion or Expandable. Accordion type allows only one section to stay open at a time whereas Expandable allows multiple sections to stay open at a time. Animation : Allows you to use an appearance animation effect to the accordion. Header Font : Customize the accordions header font. You can choose from plenty of existing Google fonts and define its type ( Bold, Italic, and Underline, Uppercase, Lowercase, and Capitalize as well ), size, line height, and letter spacing. Also, you can define Header Background color and Header Text Color. Body Font : Similarly like Header Font customization, you can customize for the accordions body font and also can define Border color here. Margin : You can define the amount of margin in pixel for Top, Right, Bottom and Left as well to your accordion. Padding : You can also define the amount of padding in pixel for Top, Right, Bottom as well as Left to your accordion.